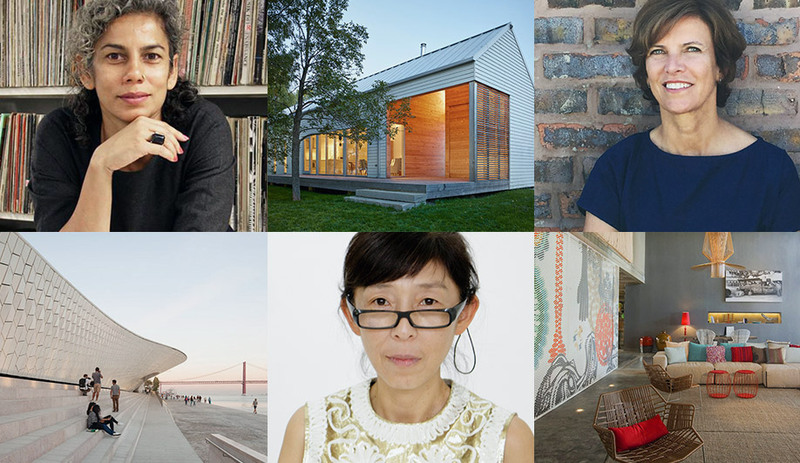 In honour of International Women’s Day, we present this list of 30 women architects from across the globe whose names (and works) everyone should know. Why you should know her: Carrillo was recently awarded Architect of the Year by the 2017 Women in Architecture Awards. Farrell and McNamara founded their firm in 1978, when it was almost unheard of for an architecture firm to be helmed solely by women. 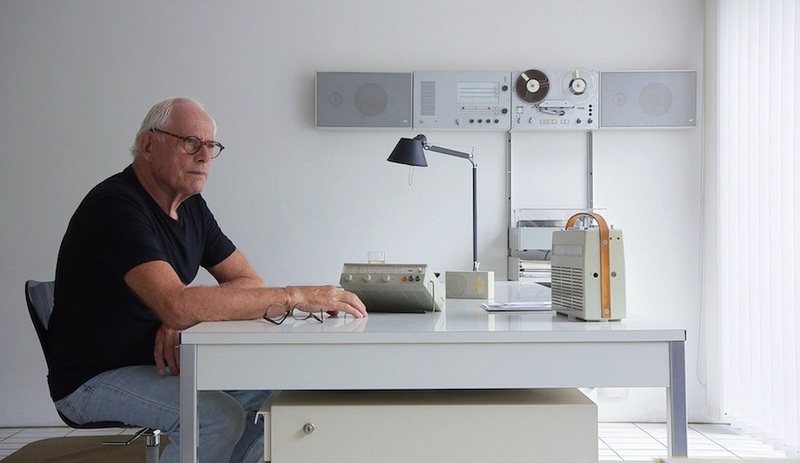 Thirty-nine years later, they’ve won nearly every major architecture prize, including RIBA’s inaugural International Prize in late 2016 for a new campus at the University of Engineering and Technology in Lima. Why you should know them: next up, the duo will curate the 16th International Architecture Biennale in Venice next year. The 60-year-old architect founded her firm, previously known as Odile Decq Benoît Cornette Architectes Urbanistes, with partner and husband Benoît Cornette at age 30. The two were credited with refreshing France’s architectural scene in the late ‘80s and early ‘90s. When Cornette died in a car accident in 1998, Decq forged on. 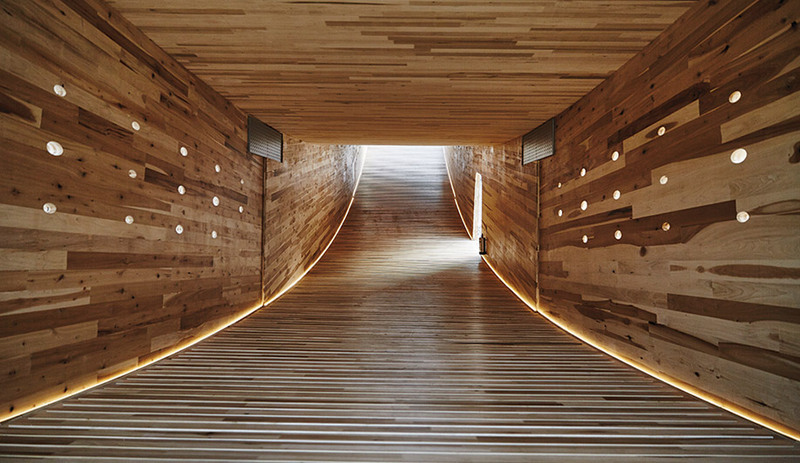 The Danish architect gained prominence with her namesake firm in the early 2000s, building projects like the Royal Danish Playhouse, which is now considered amongst Denmark’s best contemporary buildings. 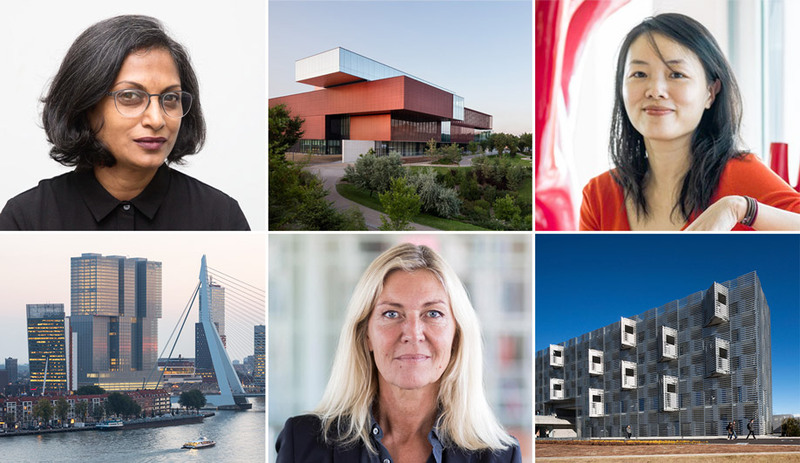 Why you should know her: Along with Alison Brooks, Tranberg’s firm is amongst the five finalists for this year’s Mies van der Rohe Prize. The London Eye by Marks Barfield. When it was completed in 2000, it was the world’s tallest ferris wheel. 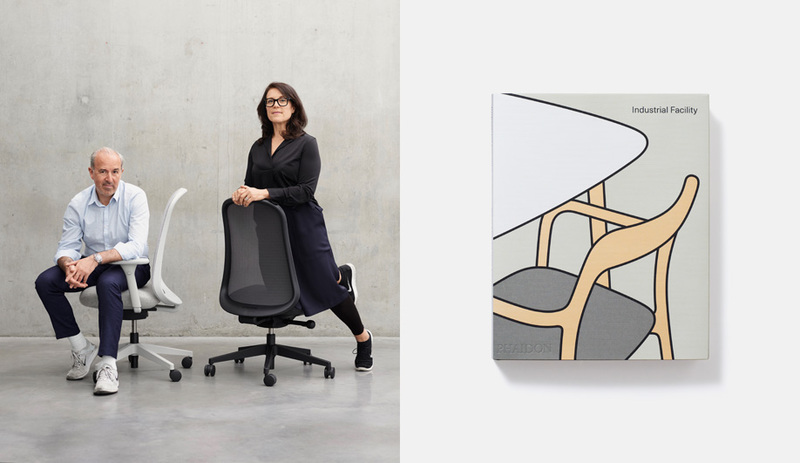 Barfield worked for Foster and Partners for nine years before founding her firm with her husband, David Marks. Since their launch in 1990, the firm has won more than 60 awards. 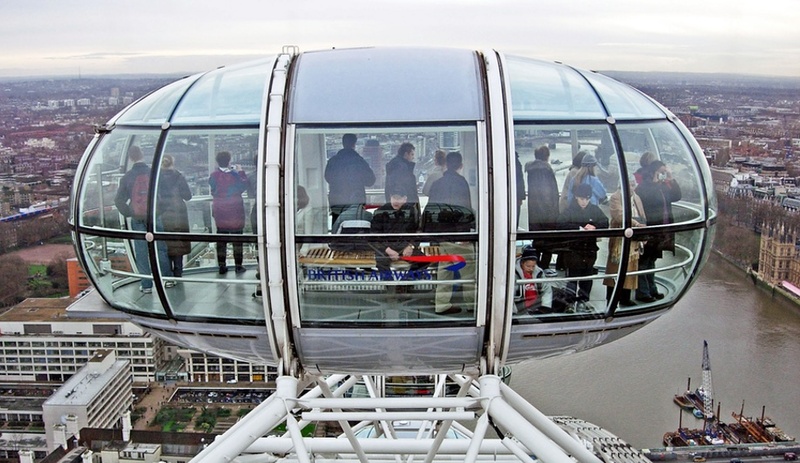 Why you should know her: Barfield and her husband designed the London Eye. Completed in 2000, it’s become one of the city’s most frequented attractions. 7 Amale Andraos, WorkAC, Lebanon/U.S. Andraos is dean of the Columbia Graduate School of Architecture, Planning and Preservation and is a principal at WorkAC, the firm she founded with her husband, Dan Wood. 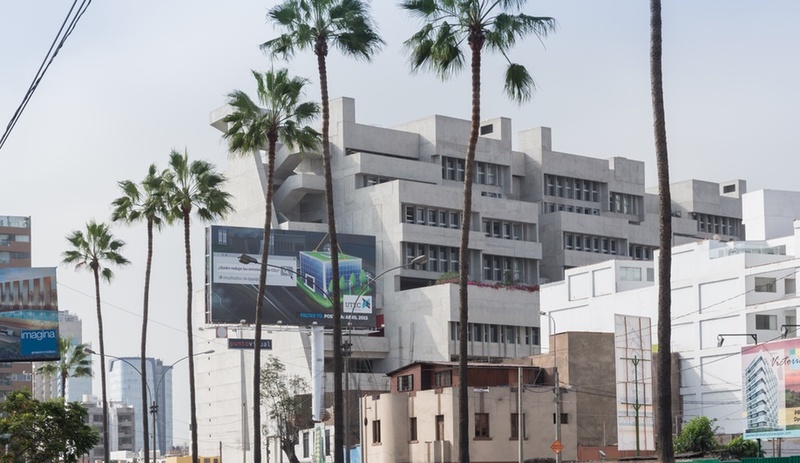 WorkAC’s long list of works includes celebrity residences, art museums and galleries, and educational buildings. Why you should know her: ArchDaily named the firm’s recent refurbishment of a historic residential building in New York the best refurbishment project of the year. Exemplary of Andraos’ playful touches, the firm added a jagged black rooftop addition to the 19th-century structure that’s invisible from street level. 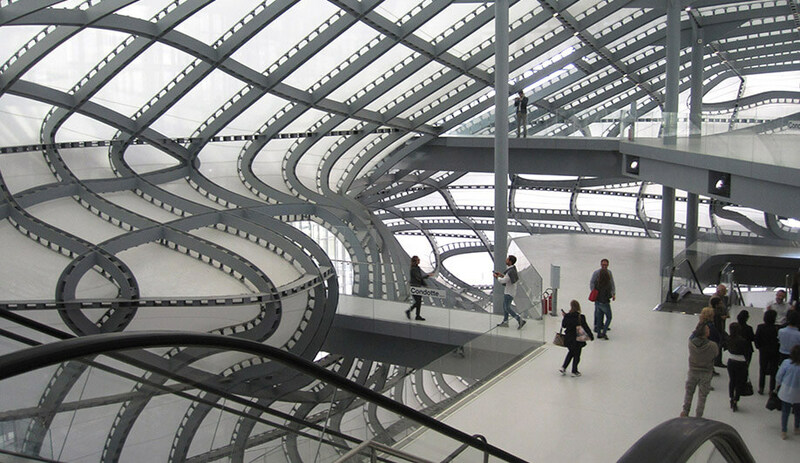 Born in Rome, Fuksas has worked alongside her husband Massimiliano Fuksas since 1985. They are an Italian power couple with offices in Rome, Paris and Shenzhen. The Shenzhen Bao’an International Airport’s Terminal 3 is one of the firm’s best-known recent works. Why you should know her: The firm is a leader in parametric design and their projects are theatrical engineering marvels. The latest project to open is the Rome-EUR Convention Center with a 439-room, 17-storey hotel attached. As much of an activist as she is an architect, Roonrakwit’s career has been focused on developing housing for Thailand’s poor. She’s worked on more than 40 such development projects across the country. Why you should know her: in 2015, Roonrakwit was a finalist for the arcVision Prize, a social award for women architects and designers. The MAAT in Lisbon. The museum by AL_A opened to the public in 2016. 10 Amanda Levete, AL_A Architects, U.K.
After a 20-year partnership with the late Jan Kaplický at Future Systems, Levete formed her own London practice, AL_A, in 2009. The firm has won a number of important commissions in recent years. 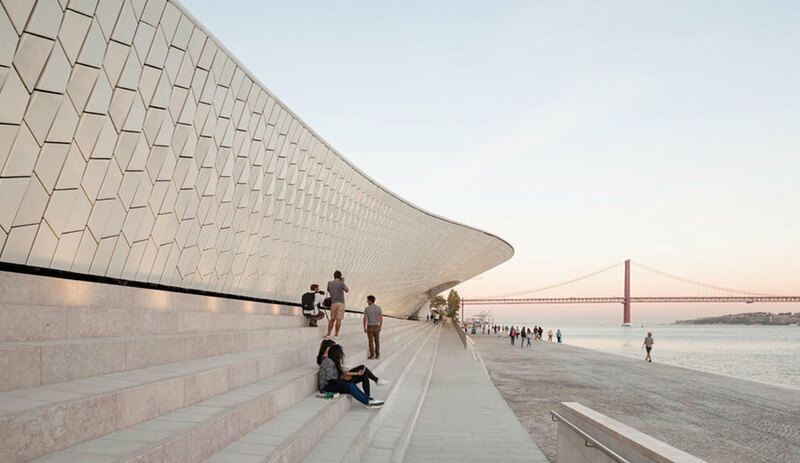 One of the largest is the MAAT museum in Lisbon, featured in the March/April 2017 issue of Azure and recently shortlisted for the EU Mies van der Rohe Prize. Why you should know her: Levete’s new public courtyard at London’s Victoria and Albert Museum is set for completion sometime this year. Sejima and her partner Ryue Nishizawa won the Pritzker Prize in 2010. Her works span continents and include such prominent buildings as the Louvre-Lens in Paris, the New Museum in New York City, the IVAM in Spain, and the Rolex Learning Center in Switzerland. Why you should know her: Sejima’s works have become emblematic of contemporary Japanese architecture. Next up, Sejima will design a mirrored Japanese commuter train for the 100th anniversary of Seibu Group company. The design will be applied to a small number of express trains to be rolled out in 2018. Shim is at the helm of one of Canada’s most bespoke design studios. Every detail of their projects are fastidiously considered and constructed. 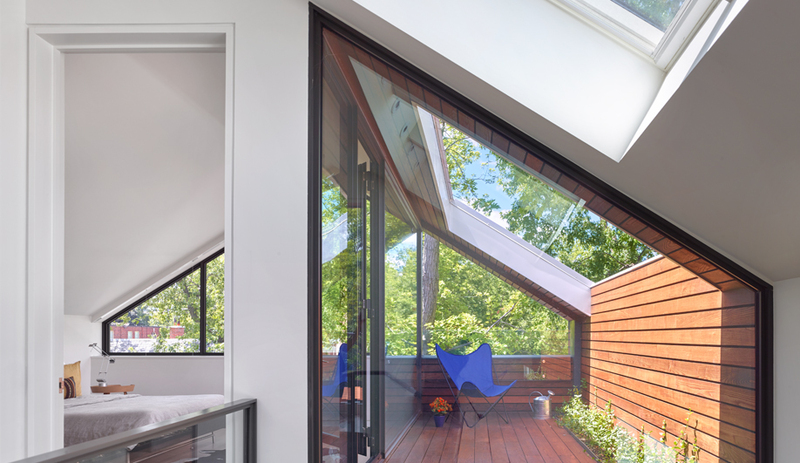 Integral House in Toronto is among the firm’s most renowned projects. It’s a residence designed for a music aficionado who requested that the interior comfortably contain space to accommodate a concert attended by 100 guests. 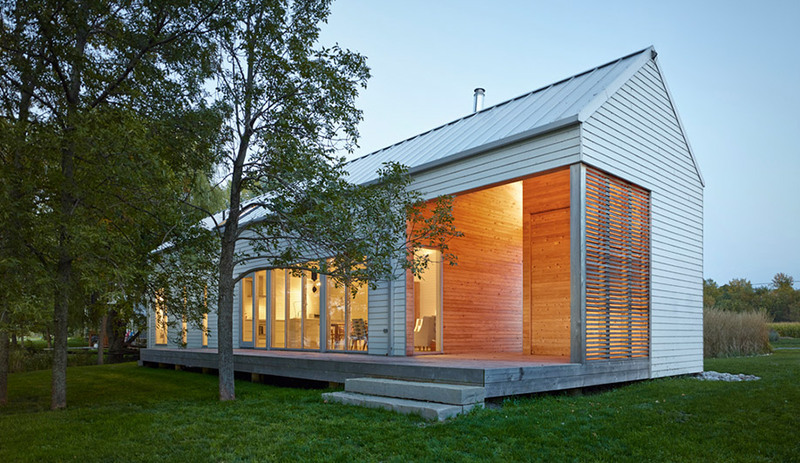 Why you should know her: Shim is one of Canada’s most decorated architects, winning 13 Governor General Awards. Her firm is now working on the Ace Hotel in Toronto. From her Paris-based office of more than 15 architects, Gautrand aims to “re-enchant the city.” The firm seeks to create what Gautrand calls “poetic architecture”; her projects include hotels, theatres and showrooms marked by bold use of colour and angular forms. Why you should know her: Gautrand is currently collaborating with DesignInc and Lacoste + Stevenson on a landmark $50-million civic and community building in the Australian city of Parramatta. A relative newcomer on the scene, Hurme is one of the co-founding principals of the 10-year-old Winnipeg firm that in 2012 was selected as Canada’s official entry to the 13th International Architecture Biennale. Why you should know her: Hurme was one of four women shortlisted for this year’s Moira Gemmill Prize for Emerging Architecture. 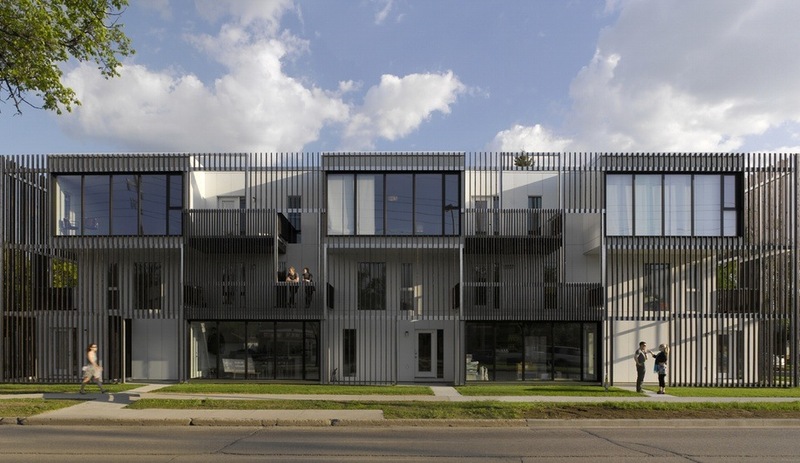 Her firm has several big projects on the horizon, including Arthur Residence, which won best Home in the Future projects category at the World Architecture Festival. One of the youngest women architects on this list, Liu co-founded her firm in 2008 at age 28, and quickly rose in the ranks. SO-IL has been recognized with the Emerging Voices award from the Architectural League, the MoMA PS1 Young Architects Program Award, and the AIA Young Architects Award. Why you should know her: the firm’s Manetti Shrem Museum of Art at UC Davis in California just opened in December. Next up, Liu and her team will be exhibiting at the 2017 Chicago Architecture Biennial. Tatiana Bilbao Estudio, Casa Ajijic, Jalisco, México, 2011. Credit: Rory Gardiner. Bilbao’s firm, with offices in Mexico and Switzerland, has a diverse portfolio that bridges architecture, research and art. Her first project was a pavilion commissioned by Chinese artist Ai Wei Wei. Why you should know her: Bilbao is an influential multidisciplinary architect: she’s taught at the Yale School of Architecture, her work is in collections at the Centre d’Art George Pompidou in Paris and the Carnegie Museum of Art in Pittsburgh, and she received the Global Award for Sustainable Architecture in 2014. Viganò is an urbanist and architect who has realized projects around the world with partner Bernardo Secchi while acting as a guest professor at international universities. In 2013, she became the first woman to receive France’s Grand prix de l’urbanisme for her work in urban planning. Why you should know her: Viganò won an international design competition in 2016 to devise a master plan for a new neighbourhood in Rome’s “City of Science” district. Alison Brooks’ Smile pavilion was a feature attraction at the 2016 London Design Festival. 18 Alison Brooks, Alison Brooks Architects, Canada/U.K. Born in Ontario but based in London, England, Brooks has become one of the U.K.’s most acclaimed architects and the only one to have ever won the U.K.’s most prestigious prizes: the Stephen Lawrence Prize, the Manser Medal and the 2008 RIBA Stirling Prize. Why you should know her: Brook’s Ely Court, a residential development in northwest London, is one of five finalists vying for the prestigious Mies van der Rohe Award this year. 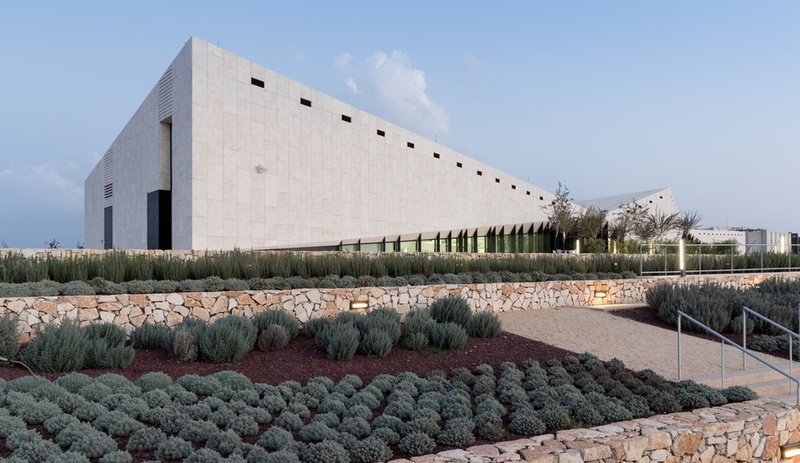 Heneghan is co-founder of Heneghan Peng Architects, a firm based in Dublin that has overseen some of the most prestigious and complex museum projects in recent history, including the Palestinian Museum, and the upcoming Grand Egyptian Museum in Cairo. Why you should know her: Heneghan’s firm was based in New York but it moved to Dublin in 2001, proof that if you’re good, your practice can be based anywhere. The firm is now working on the Canadian Canoe Museum in Peterborough, Ontario. 20 Caroline O’Donnell, CODA, U.S.
Based in Ithaca, New York, O’Donnell is an Irish designer and principal of the firm CODA. In 2013, she won the 2013 PS1 MoMA Young Architects Program commission to build Party Wall, a structure made from 200 removable benches. Why you should know her: Most of her projects are highly experimental and playful with everyday materials. For Urchin, an installation at the 2016 CCA Biennial, the firm created a park pavilion made from 500 plastic lawn chairs. One of Canada’s top talents, Graham won the American Institute of Architects Gold Medal in her thesis year at the University of Waterloo and went on to earn a master’s degree at Harvard University. 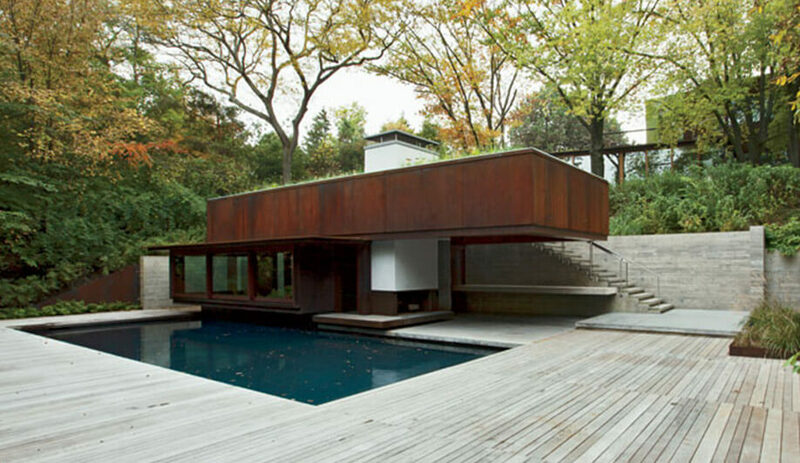 She worked at Kuwabara Payne McKenna Blumberg Architects before founding Superkül with husband Andre D’Elia in 2002. Best known for its residential works, her firm takes pride in its lack of a signature style, instead taking a unique approach to each project. Why you should know her: Superkül will add to its University of Toronto projects this year when it wraps up work on the new Student Commons on the former site of the John H. Daniels Faculty of Architecture, Landscape, and Design. Many forget that Urquiola is in fact a trained architect. Her most recent architectural projects include a creative workspace within Laufen’s Madrid showroom. In October, Hotel II Serano opened on the shores of Italy’s Lake Como – a project which she designed almost every detail of, from the building, to the furnishings and even the staff uniforms. Why you should know her: Urquiola recently took on her first-ever residential project. The luxury development Lincoln Square is set to open in downtown London in 2018. 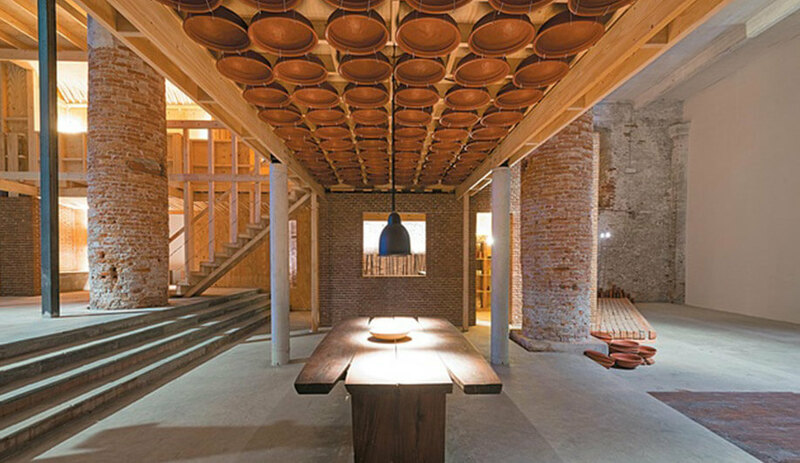 A replica of Anupama Kundoo’s Wall House at the International Architecture Biennale in Venice in 2012. Now based in Madrid, Kundoo made her mark in her native India, where her approach to building is based on material research and in minimizing the environmental effects of construction. Many of her buildings use waste materials and employ unskilled labour. Her own house, “Wall House,” was built in 2000 for approximately US$15,000. Why you should know her: In February Kundoo lead a presentation of installations at Archiprix International, in Ahmedabad, India. A collaboration with student from Cept University and artisan group Self Employed Women’s Association (SEWA), the installations were formed using waste denim fabric. 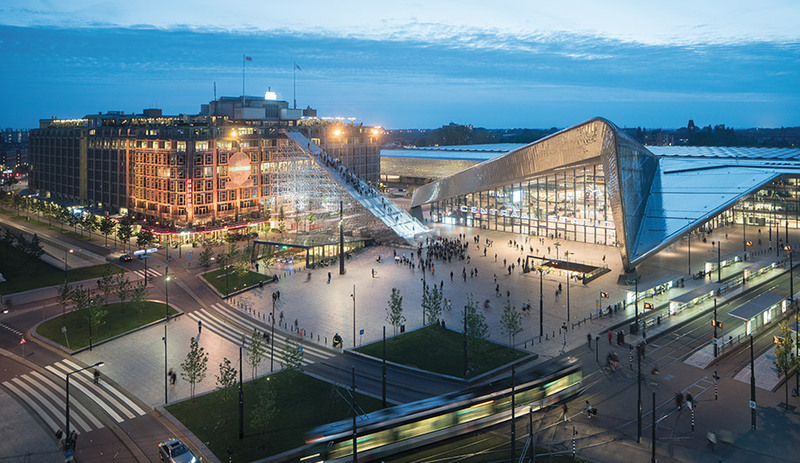 A giant staircase by MVRDV was temporarily installed last year in a city plaza in Rotterdam. 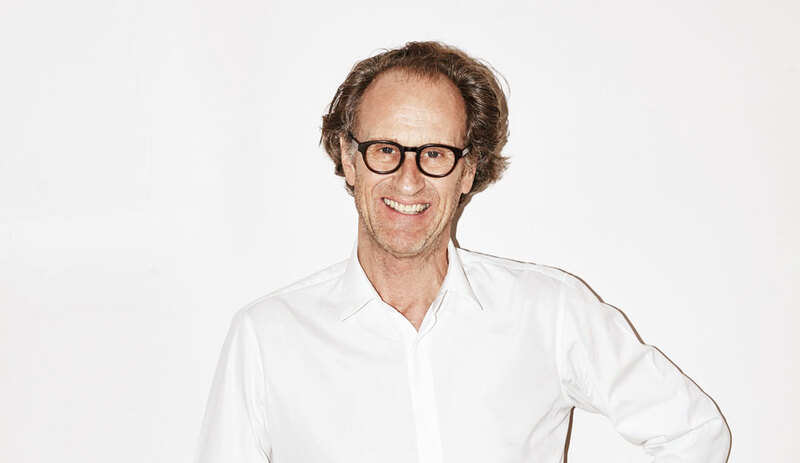 A founding member of a firm known globally for pushing boundaries and exploring unconventional forms, materials and approaches, de Vries has become one of the world’s most prominent working architects, male or female. Why you should know her: the busy firm has plenty of hotly anticipated projects in the works. We’re most excited for the Tianjin Binhai Library in China. Montiel is both an architect and researcher, whose buildings and studies often focus on public spaces and urban development. A 2015 project, Common-unity, saw Montiel transform a disused shared courtyard in Mexico City into a flexible community space for different types of play. Why you should know her: she just won the 2017 Moira Gemmill Prize for Emerging Architecture, part of the Women in Architecture Awards. 26 Jeanne Gang, Studio Gang, U.S.
One of the most prominent women architects on this list, the founding principal of Studio Gang is best known for the Aqua Tower in Chicago, a residential build with now-famous wavy balconies. Her under-construction Visa Tower, also in Chicago, will be the world’s tallest skyscraper designed by a woman. Why you should know her: Gang is incredibly active, with two major projects currently underway – an addition to the American Museum of Natural History in New York, and Solar Carve, a new residential tower that will hug New York’s High Line park. As a partner and the CEO of Henning Larsen, Frandsen has been credited as the driver of the firm’s international expansion and partnerships. The firm is working on projects in more than a dozen countries. Why you should know her: Frandsen and her team are currently developing Vinge City, a 370-hectare residential development north of Copenhagen. It will be the largest urban development project in Denmark. Patkau and her husband John head up one of the country’s most decorated firms. 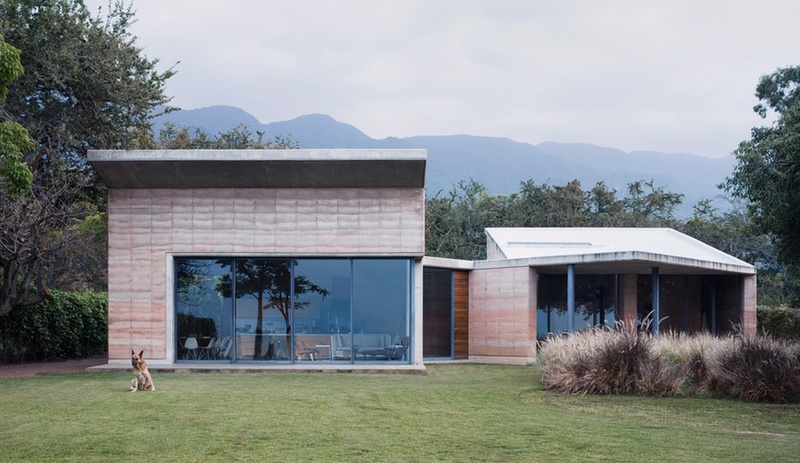 Last year, RIBA recognized the firm’s Tula House in its inaugural selection of international projects. Why you should know her: on the heels of the Audain Art Museum in Whistler (one of Azure‘s top cultural buildings of 2016), the firm is currently working on the much-anticipated Thunder Bay Art Gallery. 29 Denise Scott Brown, Venturi, Scott Brown and Associates, U.S.
One of the founding partners in Philadelphia firm Venturi, Scott Brown & Associates, she has worked alongside her husband Robert Venturi since 1969. When Venturi was awarded the Pritzker in 1991, he insisted she be included, and when the request was denied, Scott Brown shunned the ceremony in protest. Over 20 years later a group of architecture students launched a petition demanding that she be “retroactively acknowledged for her work deserving of a joint Pritzker Prize.” Among the signatories were Venturi, Rem Koolhaas, Jacques Herzog, Pierre de Meuron, Wang Shu, and Zaha Hadid, who became the first woman to receive the award in 2004. Why you should know her: Though the Pritzker petition failed to result in any recognition, Scott Brown was awarded this year’s Jane Drew prize in February. The award recognizes women who promote innovation, diversity, and inclusiveness in the field. Skygarden residence by Dubbeldam. Credit: Shai Gil. Dubbeldam won the Professional Prix de Rome in Architecture in 2016, in honour of her firm’s demonstration of artistic excellence and sustainable design. The practice’s calling card is creating refined modern masterpieces that make the most of small footprints and seek to reduce energy consumption. Why you should know her: winnings from her Prix de Rome prize are supporting her research project, “The Next Green – Innovation in Sustainable Housing.” The project is studying and sharing sustainable housing prototypes in Denmark, Sweden, Norway and Germany, and looking at how practices can be applied in a Canadian context. She is also the architect of the new Azure office.